Drawn to the Deep celebrates the life of Wes Skiles (1958–2010), a diver and photographer who was a self-taught expert on Florida’s freshwater springs and an outspoken advocate for their conservation. This book is the inspiring story of an explorer and activist who uncovered environmental abuses, advanced the field of underwater photography and astonished the world with unprecedented views of the hidden beauty of the planet. Below is an excerpt from the book. Courtesy of Terri Skiles. Reprinted with permission of University Press of Florida. When Wes Skiles died on July 21, 2010, in a diving accident, news traveled fast among those of us who work to protect and document Florida’s remarkable springs—one of the largest stores of fresh water on the planet. With his National Geographic cover story, which had a much-coveted but infrequently published pull-out photo section, Wes had reached the top spot of adventure journalism. Remarkably, he had become one of the best photographers in the world by practicing his art in places with no light. He started making pictures before digital cameras were invented, using film and flashbulbs, and rigging up homemade equipment to survive the dangerous, deep places that most people wouldn’t ever think of going. We were all rooting for him. Now, dammit, he was gone. When I drove back to Tallahassee after Wes’s funeral in tiny High Springs, Florida, I grieved for his family—his wife of twenty-nine years and his two teenaged children. I was still contacting environmental colleagues to try to make sense of it. To those who knew him, and even those who just knew of him, it was not really surprising that Wes would meet his end while diving. But dying during a routine open-water dive in 75 feet of water, not back in some unexplored underwater cave miles below the Earth’s surface? Nobody expected that. The coroner listed the cause of death as drowning. That didn’t explain much. Wes had just spent two weeks on a shoot for television’s premier science program, NOVA, filming for a segment called Speed Kills, which featured footage of high-speed predators. This one focused on the ocean. Wes was hired to film schools of a large, ugly fish called the goliath grouper. He wasn’t happy with the footage he’d shot. But NOVA was moving on.  So ten days after leaving the NOVA shoot, Wes went back for another dive with scientists studying the fish, on his own time and on his own dime, to try to get better footage off Boynton Beach, near Palm Beach. 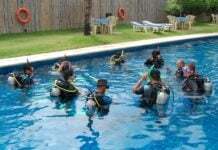 He was using borrowed diving equipment, a computerized rig called a rebreather. The device allows divers to recycle their own breaths by scrubbing out the carbon dioxide. It also produces no bubbles, which is chiefly why Wes was using it. Bubbles tended to scare off fish. No bubbles meant better footage. They’d gone to a reef about a mile out, and were shooting, when Wes signaled to them that he was going up to the surface because his digital tape needed replacing. Not long afterward, the scientists swam by and found him on the ocean floor, his breathing regulator out of his mouth. “There was nothing to indicate natural causes or outside forces,” the medical examiner’s chief investigator told the Palm Beach Post. Some of Wes’s closest friends thought they knew what might have happened: the rebreather had malfunctioned somehow, and Wes passed out and drowned. At least, they thought, he never knew what hit him. At least he didn’t die back in some cave, lost or trapped, waiting for his air to run out. Like so many others they had known. History is full of explorers, and this is the story of one, a homegrown Florida boy who saw a watery cave in the palm-filled forest and knew right then that he had to go inside. 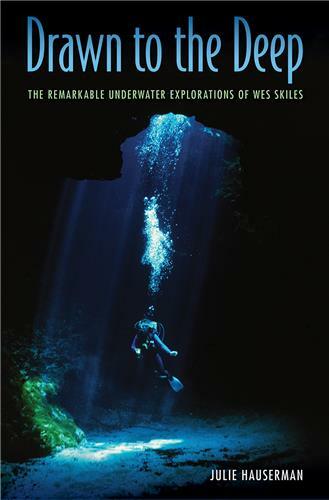 Drawn to the Deep: The Remarkable Underwater Explorations of Wes Skiles Price: $24.95 Use code DEEPER for a special discount price exclusive from the publisher, valid through October 12, 2018. 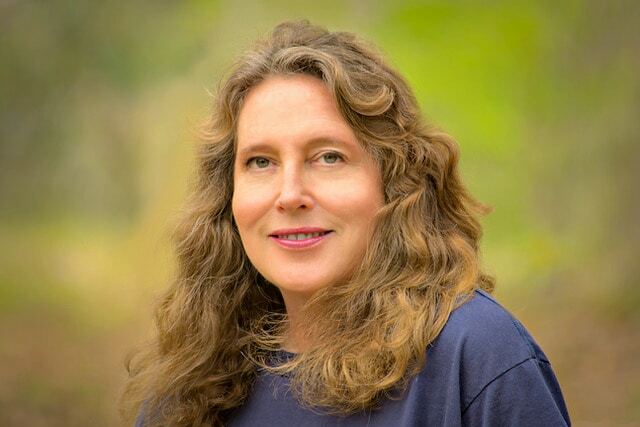 About the author: Julie Hauserman, an award-winning journalist, is editor-in-chief of the Florida Phoenix. She is a former national commentator for NPR’s Weekend Edition and a former capital bureau reporter for the St. Petersburg Times. The University Press of Florida publishes books on Florida history, landscape, middle eastern studies, latin american studies, dance, literature, antropology and archaeology. Wonderful synopsis. I will buy the book. 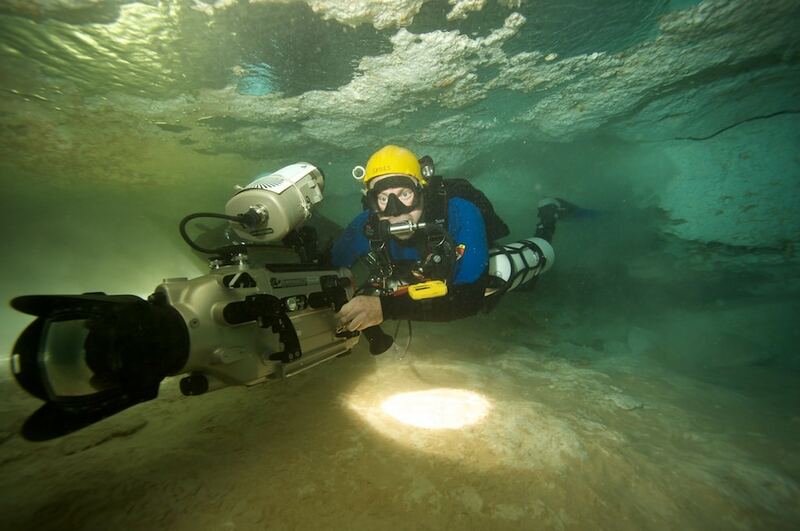 A few corrections: (1) It was a Nat Geo film shoot, not NOVA; (2) the Medical Examiner found a pulmonary barotrauma on autopsy, most likely caused by a rapid ascent; (3) the producer required the use of a rebreather, which Skiles had not used in many years, and this is why he borrowed one; (4) Skiles was unfamiliar with the rebreather — in fact, the dive computer data showed that Skiles had used it only one time before, on a familiarization dive to 14 feet, so Skiles was unfamiliar with the way the rebreather would add gas on ascent as a way of maintaining a high ppO2 set point and lead to increased buoyancy; and (5) you didn’t mention the drugs. All of these facts were known within a few weeks of Skiles’ death, but they were not widely publicized until the trial in the family’s lawsuit. I wonder if they are in the book? Regardless, Wes Skiles was a remarkable man who enjoyed a distinguished career. His loss is a tragedy for his family and the world at large.